Your first week at your new home may not be as welcoming as you have thought. You may realize that there is a lot of work to do. In this case, you need to know that the first few days at your new home is crucial; this is the time frame where you will need to set up the configurations of your new home to make it much more comfortable. For now, you need to come up with a list of activities so that you will not overlook something. 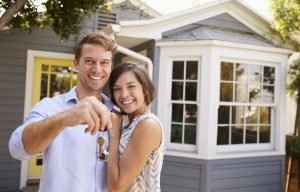 Let this article help you curate that list by giving you three of the most important things that you should do in your first week at your new home. Do not feel anxious at the sight of the unopened boxes. It is just normal. What you should do is unpack first just the essentials. You need to unpack the usual clothes that you family use, the toiletries, kitchen utensils, plates, and similar items. These items will help you make feel at home at the very least. In the middle of the first or second week, you should already be starting the work. You may start painting the home and installing the electric system. To make it much more comfortable, you may begin installing new house insulation. Security is an important matter, knowing that you are still not familiar with the neighbourhood. What you should do is change the locks of your house already. If you have the budget, you may start installing security cameras or motion-activated lights. The first few days or weeks at your home can be difficult. Often, you will find yourself adjusting a lot of things to feel comfortable. It is all fine and normal. You will get the hang of it.